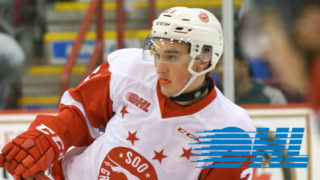 The Soo Greyhounds Hockey Club announced their leadership group for the 2018-19 season on Thursday. Arizona Coyotes prospect (1st Rd, 2018) BARRETT HAYTON was named the team’s captain while MORGAN FROST (PHI), MAC HOLLOWELL (TOR) and JORDAN SAMBROOK will serve as alternate captains. 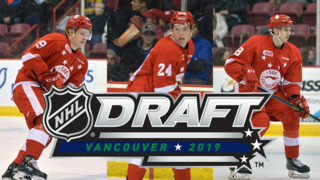 Hayton, 18, is in his third season with the Greyhounds after becoming the Arizona Coyotes 1st Round selection in the 2018 NHL Entry Draft. 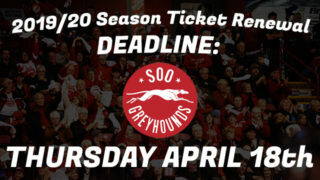 The Peterborough, ON native who was just returned to the Hounds two days ago, was originally their 1st Round Selection (9th overall) in the 2016 OHL Priority Selection, and is coming off a 60-point (21G, 39A) season one year ago. 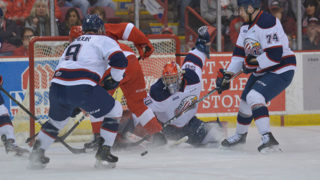 Frost, 19, is in the midst of his fourth season with the Greyhounds after producing a career-best 42 goals and 70 assists (112 points) last year while finishing as the second leading scorer in the entire Ontario Hockey League. He leads the Hounds’ offense in 2018-19 with 5 goals and 7 assists through the team’s first eight games. 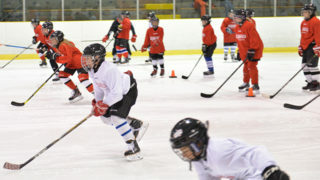 Hollowell, 20, is one of three overage players on the Greyhounds current roster, and one of two as part of the leadership group. A native of Niagara Falls ON, Hollowell is in his fourth full season with the Greyhounds and is their returning top scoring defenceman. 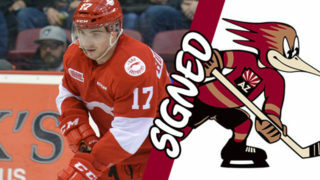 Sambrook, 20, is in his first full season with the Greyhounds (4th overall in the OHL) after being acquired by the club in January 2018. The Markham ON native recently completed his 200th career regular season game played while amassing experience in an impressive fifty-nine post season games. The four members of the Greyhounds’ leadership group will bring the group into action TOMORROW NIGHT (Fri. Oct 12) when they host the Kitchener Rangers.